This amazing apartment is currently for sale at Entrance. Oh my, this place definitely looks good. 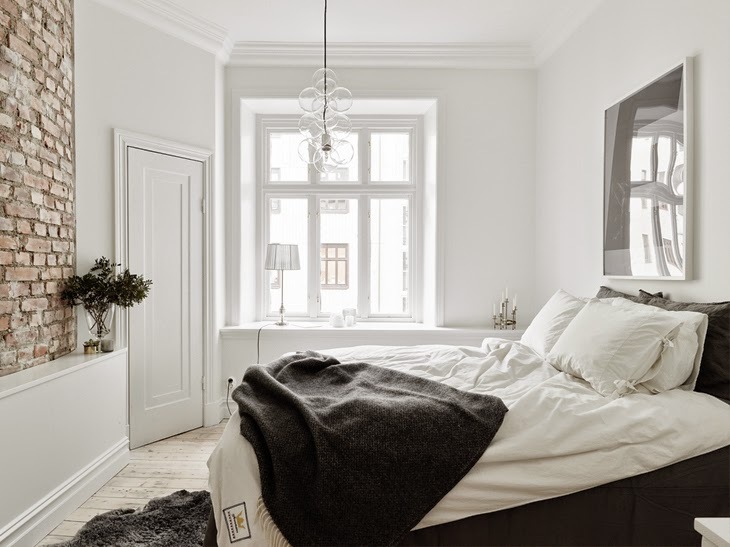 I simply adore the black, white and grey theme with some nice usage of naked bricks and filled with beautiful wooden flooring. 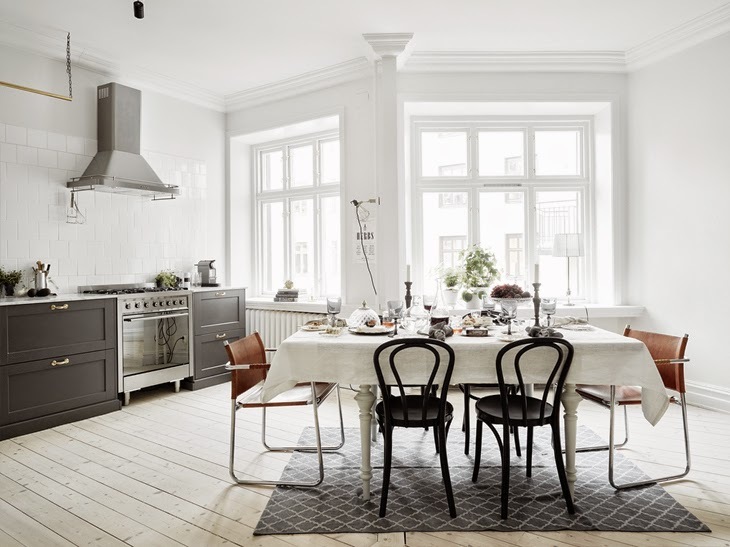 Main thing for me here is the awesome, huge kitchen with a big dining table. 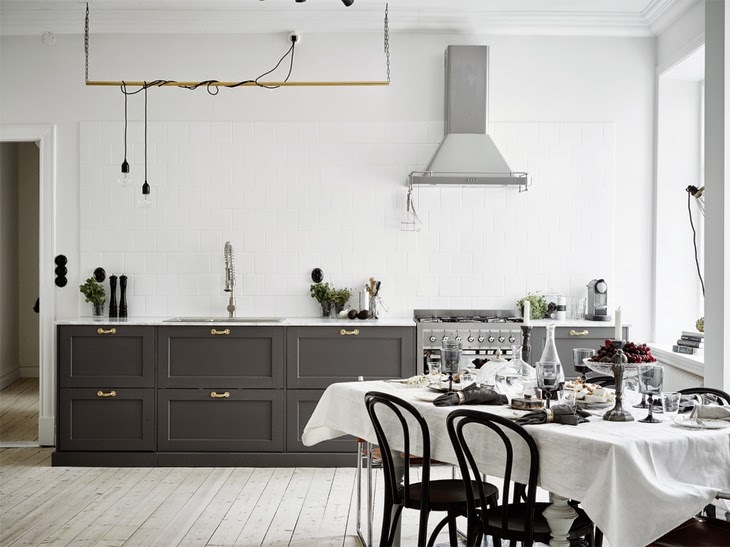 The gray cabinets with some gold touches are fantastic. 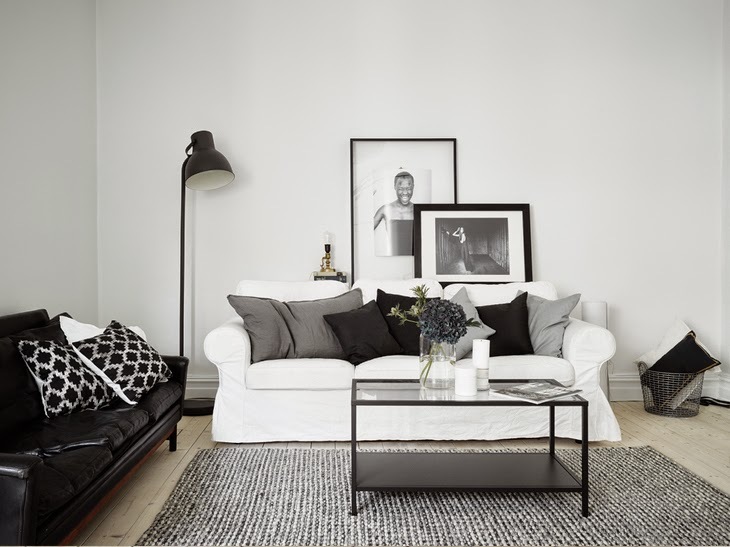 Rest of the house is top notch as well, I especially like the black leather sofa in the living room. 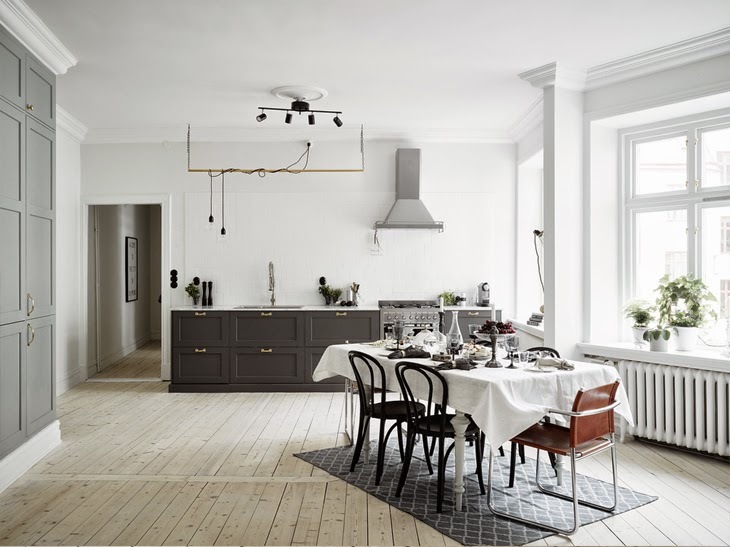 What do you think, do you like now trendy gray colored kitchens?